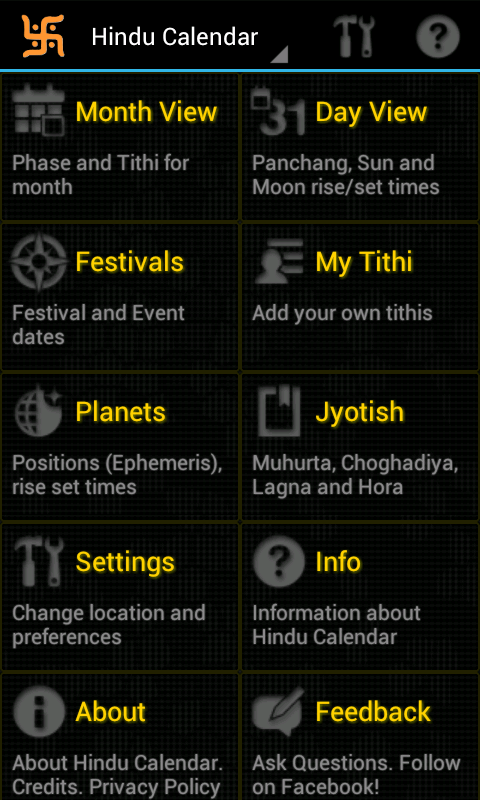 Hindu Calendar: Update to 4.0 !! Complete makeover of navigation. Action Bar added. 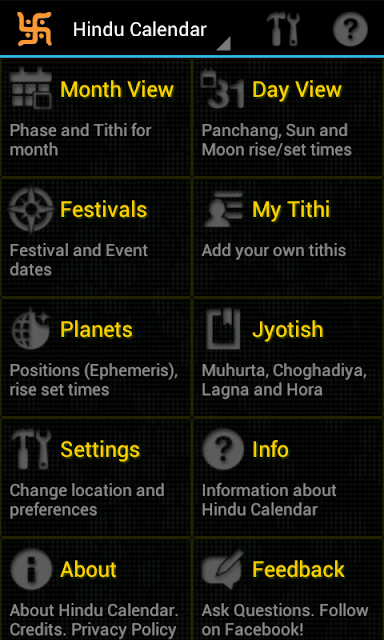 Zoom Buttons and pinch zoom for tithi view and jyotish view. Attempt to fix the Widget alignment issue for some handsets. Added analytics for studying usage pattern. Bifurcation of Jyotish section from Tithi. Some changes in theme and color scheme. Abhijit Muhurt on Wednesday corrected to Inauspicious. Fix for dhanu rashi image on widget.